Sarah Gadon in “Alias Grace,” which begins streaming on Netflix Nov. 3. If you watch only one streaming service's Margaret Atwood adaptation this year, it should be Hulu's Emmy-winning drama The Handmaid's Tale. 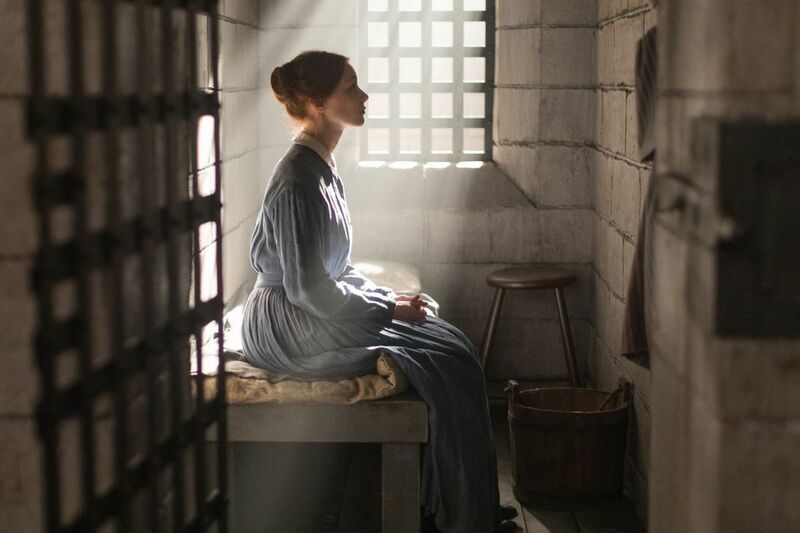 But if you have room for a bit more small-screen Atwood in your life — and access to Netflix — consider blocking out some time for Alias Grace, a six-episode Canadian murder-mystery adapted by Sarah Polley that makes its U.S. debut on the streaming service on Nov. 3. Sarah Gadon (11.22.63, A Royal Night Out) stars as Grace Marks, a housemaid who was notoriously sentenced to life in prison for participating in the 1843 murders of her Ontario employer, Thomas Kinnear (Paul Gross), and his housekeeper, Nancy Montgomery (Anna Paquin, True Blood). I say notoriously because in Canada, Grace Marks apparently holds the kind of place in the public imagination that Lizzie Borden does here. I'll take their word for it — it's not as though my Ontario-born grandmother ever mentioned Marks to me — but the two cases, nearly 50 years apart, do share the Victorian era and its complicated attitudes about class and the capabilities of women. Where The Handmaid's Tale and its vision of a dystopian post-U.S. society in which women are stripped of civil rights gave me nightmares, Alias Grace offered only a few chills. The pace is occasionally glacial, and there were moments when I was as impatient as the (fictional) Dr. Simon Jordan (Edward Holcroft, Wolf Hall) for Grace to get to the point of her long and twisted tale. Pay attention, though: There will be a payoff. The real attraction is the performances, particularly Gadon's as the model inmate being interviewed by Jordan, who's been brought in by a committee that hopes to find that Grace is, in fact, innocent in the deaths for which her supposed accomplice, a male servant, was hanged. Zachary Levi (Chuck) gets his Victorian on as a peddler who not only sees Grace's future, but may play an important part in it. Alias Grace, Nov. 3, Netflix.